Invite your friends and family to jump with you or just help us spread the word about our charity skydives. The more people we get to jump the more money we raise for Treat Me Kind International. 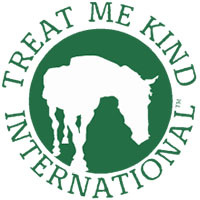 TREAT ME KIND International is working to end cruelty to animals in the UK and Internationally. We work to raise awareness and educate people about animal welfare issues including donkey welfare, companion animals and help towards emergency aid where we can. Our vision is a world where every animal is treated with kindness, respect and dignity.